Uselessdisk Ransomware is an extremely harmful malicious application whose entrance will bring you serious problems because this threat will overwrite the MBR (Master Boot Record) on your computer in order to display the ransom note, meaning that you will need to reinstall your Windows OS to repair your damaged PC. The majority of ransomware infections our researchers discover and analyze try to obtain money from users by locking their personal files, but it seems that Uselessdisk Ransomware is not one of those threats – it is more sophisticated malicious software. As you already know, you could no longer use your computer normally after its successful entrance, but you could solve this problem by reinstalling your Windows OS. Consequently, you will not need to erase Uselessdisk Ransomware from your computer – you will delete it by reinstalling the operating system. Some users believe that everything will get back to normal if they send the required money to cyber criminals, but our malware researchers are sure that this will not be an effective solution to the problem because it has been observed that there is no way to identify victims. Because of this, crooks cannot reverse the damage that has been done to their computers even if they receive money. Even though Uselessdisk Ransomware differs from those typical ransomware infections frequently developed by crooks in order to obtain money from users, it is not a mistake that it has been categorized as ransomware. Researchers working at pcthreat.com say that they have placed it under the ransomware category because it demands money from users. Users are told that they can unlock their files by sending “$300 worth of Bitcoin” to the provided address. As you should already know if you are reading this article from the beginning, Uselessdisk Ransomware has not encrypted files on your computer. Instead, it has overwritten the MBR. As research conducted by our specialists has shown, this threat also corrupts the partition table of the hard drive. Because of this, you could use your computer normally again only when you reinstall your Windows OS. In other words, sending money to cyber criminals will not change anything. Uselessdisk Ransomware is similar to Petya Ransomware in a sense that it also modifies the MBR. Users can fix their PCs with the OS installation disc in case they encounter Petya. As you already know, this will, unfortunately, not work if Uselessdisk Ransomware is the one that has entered the system. There are many different ways how malicious software is distributed; however, specialists already know how users usually end up with Uselessdisk Ransomware. It has been found that this infection is mainly spread via malicious email attachments. 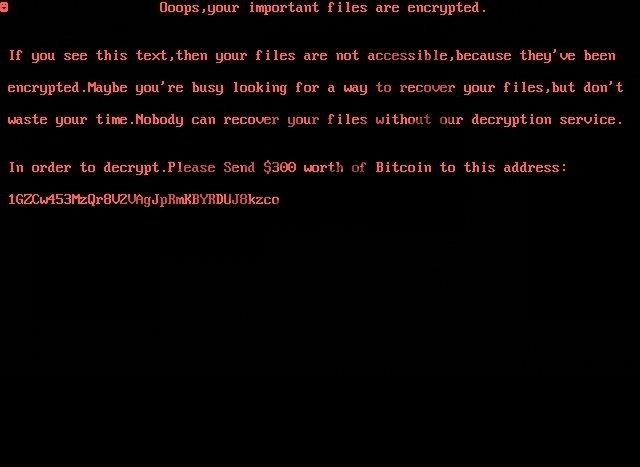 If users open them, the ransomware infection immediately starts working on their computers. What is more, our researchers are sure that some users who encounter malware download it themselves from the web. It goes without saying that they do not know anything about that. According to our specialists, a bunch of malicious applications are spread masqueraded as useful software, especially cracks and keygens. Therefore, be always very careful with software you download from the Internet and make sure the Download button you click on is located on a page that can be fully trusted. We cannot promise that you could prevent all infections from entering your system by just being cautious, so we highly recommend having a security tool enabled on the system as well. As long as it is kept active, new malware will not slither onto your computer. Of course, you will be safe only if the tool you use is 100% trustworthy. You will not need to delete Uselessdisk Ransomware from the system separately because it will leave your system once you reinstall your Windows OS. Unfortunately, there is no other way to fix the damage it has caused. As has already been mentioned previously in this article, nothing will change after paying the ransom to the developer of this threat, so better keep the money to yourself. Keep in mind that it is not the worst threat that can slither onto your computer, so make sure your PC is never left unprotected. Quick & tested solution for Uselessdisk Ransomware removal.